1. 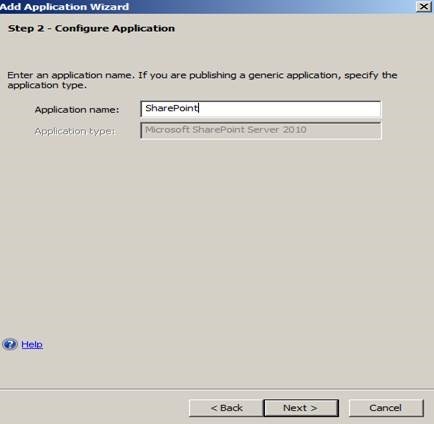 On the server running SharePoint Products and Technologies, open the SharePoint Central Administration tool. 2. In the SharePoint 2013 Central Administration tool or in the SharePoint 2010 Central Administration tool, under System Settings, click Configure alternate access mappings. 3. On the Alternate Access Mappings page, in the Alternate Access Mapping Collection list, click Change Alternate Access Mapping Collection, and then on the Select an Alternate Access Mapping Collection dialog box, select the application that you want to publish. 4. On the Alternate Access Mappings page, click Edit Public URLs. 5. 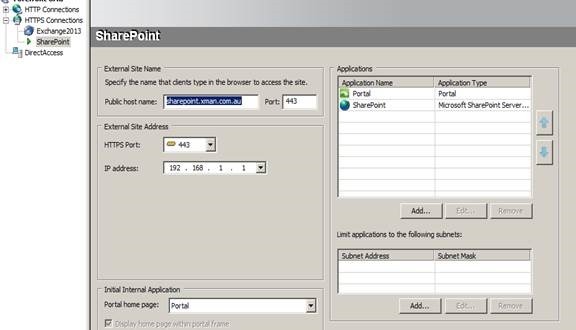 On the Edit Public Zone URLs page, in a zone box that is not yet defined, such as the Internet zone, enter the URL of the same public host name that you entered in the Public host name box when you added the SharePoint web application to the Forefront UAG trunk (described in Configuring Forefront UAG settings). Make sure that the URL includes the protocol, according to the trunk type. 6. 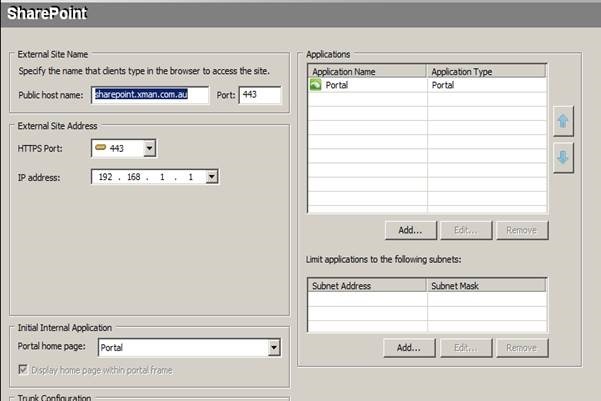 For example, if you are publishing an application via an HTTPS trunk that resides in the domain xman.com, and the application’s public host name that you entered in Forefront UAG is Portal, enter the following URL: https://Portal.xman.com. 7. When you have finished, click Save. 9. In the URL protocol, host and port box, enter the URL that you assigned in the Farm host name box when you added the SharePoint web application to the Forefront UAG trunk (described in Configuring Forefront UAG settings). For example: http://PortalExternal.xman.com. 10. In the Zone list, click the same zone in which you defined the public host name (in step 5 of this procedure), and then click Save. 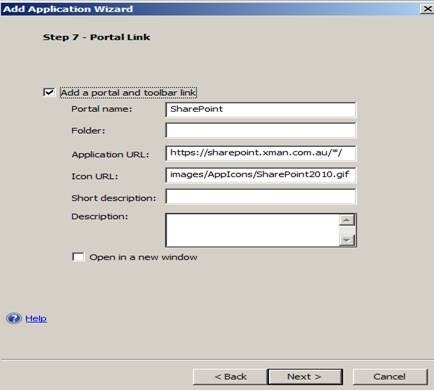 Select SharePoint.xman.com.au certificate from drop down, Click Next. Don’t worry about certificate screen shot. this is a test environment. 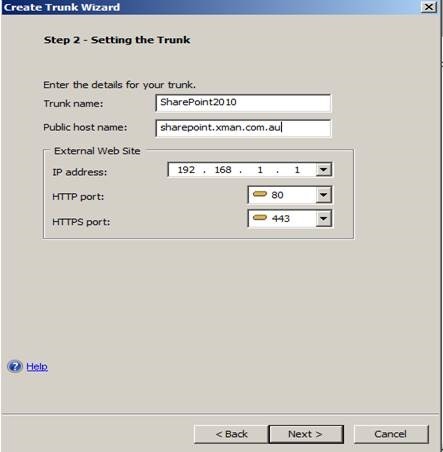 Step3: add SharePoint web applications to the trunk. In the Forefront UAG Management console, click the trunk to which you want to add the application, and then in the Applications area, click Add. 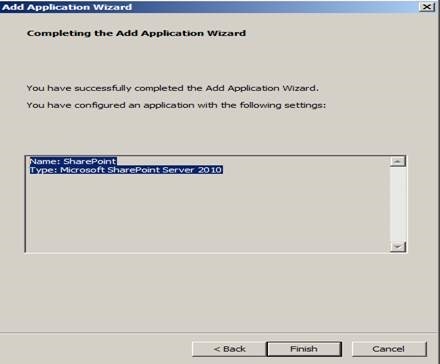 In the Add Application Wizard, on the Select Application page, click Web, and then in the list, click Microsoft Office SharePoint Server 2013, Microsoft SharePoint Server 2010, or Microsoft Office SharePoint Server 2007. On the Select Endpoint Policies page, select the relevant SharePoint download and upload policies. These policies have been designed specifically for use with published SharePoint applications. In the Addresses box, enter the internal host name of the server running SharePoint Products and Technologies. If your SharePoint server is load balanced, use the load-balanced URL instead of a server name. Make sure that you enter a fully qualified domain name. In the Paths box, you can optionally define one or more paths on which the application resides, by double-clicking an empty line and entering a path. Note that the path must start with a slash. In either the HTTP Port box or the HTTPS Port box, enter the port on which the SharePoint server is configured to listen. In the Public host name box, enter a public host name of your choice for the SharePoint web application. Select the Replace host header with the following check box, and in the Farm host name box, enter a URL of your choice that will be used to differentiate the internal host name of the application from its public host name. Make sure that the URL includes the domain in which the trunk resides (the domain of the trunk appears on the Web Servers tab, to the right of the Public host name box). 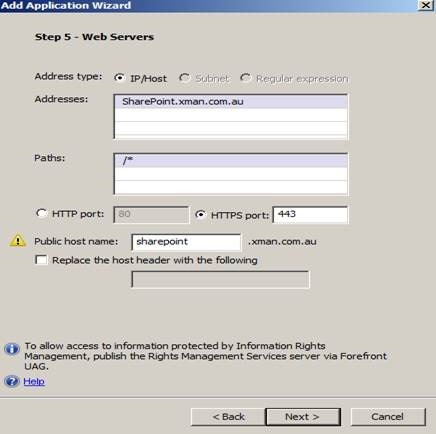 For example, if the public host name of the application is HRPortal and the trunk resides in the domain xman.com, enter the following replacement host header: HRPortalExternal.xman.com. 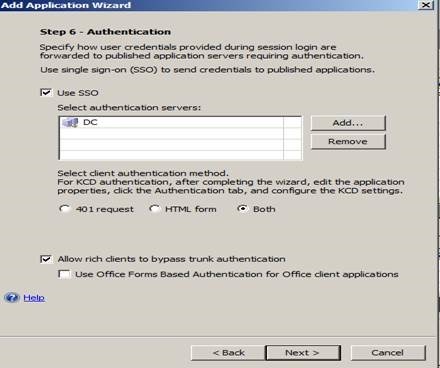 To allow rich client applications, such as Microsoft Word or Microsoft Excel, to authenticate directly to the SharePoint application without authenticating to the portal, select the Allow rich clients to bypass trunk authentication check box. To use Office Forms Based Authentication (MSOFBA), select the Use Office Forms Based Authentication for Office client applications check box. On the Portal Link page of the wizard, if required, configure the portal link for the application. If you are publishing Microsoft SharePoint Server 2010, make sure that the Open in a new window check box is selected. When you have completed the wizard, click Finish. The Add Application Wizard closes, and the application that you defined appears in the Applications list. 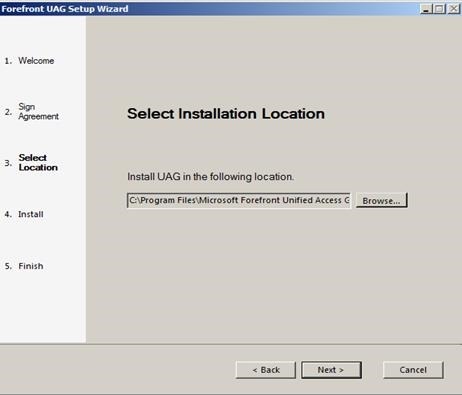 On the toolbar of the Forefront UAG Management console, click the Activate configuration icon, and then on the Activate Configuration dialog box, click Activate. After the configuration is activated, the message “Forefront UAG configuration activated successfully” appears. 1. In the Forefront UAG Management console, open the Advanced Trunk Configuration dialog box, and click the URL Set tab. 2. In the URL list, scroll to InternalSite_Rule54, and in the Methods column, add the HEAD method. 3. In the URL list, scroll to SharePoint14AAM_Rule47, and in the Methods column, add the HEAD method. 4. On the Advanced Trunk Configuration dialog box, click OK, and then activate the configuration. 5. When end users open an Excel file on a SharePoint site from their mobile device, the file opens correctly. If they then go to a different SharePoint site, the first time they try to open an Excel file it may not open as expected; end users must click the file again to open it. Empowers employees, partners, and vendors to be productive from virtually any device or location through integrated SSL VPN capabilities. Delivers simple and secure access optimized for applications such as SharePoint, Exchange, and Dynamics CRM. Extends networking connectivity with Windows Direct Access to existing infrastructure and legacy applications. Protects IT assets through fine-grained and built-in policies that provide access to sensitive data based on identity and endpoint health. Easily integrates with Active Directory and enables a variety of strong authentication methods. Limits exposure and prevent data leakage to unmanaged endpoints. The following servers is installed and configured in a test environment. The Windows Server 2008 R2 DirectAccess component is automatically installed. The following roles and features are installed by Forefront UAG, and are required for Forefront UAG to function properly. The Forefront UAG server will be a member of XMAN domain to achieve the following benefits. Add the server to an array of Forefront UAG servers at a later date. Configure the server as a Forefront UAG DirectAccess server at a later date. 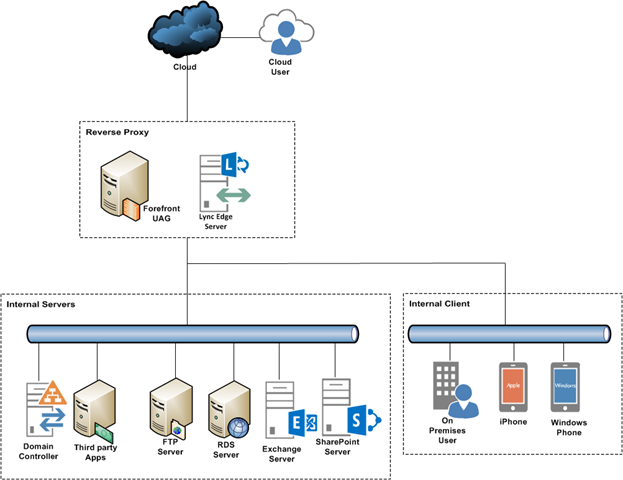 Deploy single sign on using Kerberos constrained delegation to forward session credentials to backend published servers requiring authentication. Publish the File Access application via a Forefront UAG trunk. Provide remote clients with access to the internal corporate network using SSTP. The Forefront UAG server is placed in a perimeter network, between a frontend firewall protecting the edge, and a backend firewall protecting the internal network. Intranet content, such as servers published by Forefront UAG, can be isolated in the perimeter network and separated from corporate content intended for internal access only. Integrity of the content in the corporate network is retained. Securely publish backend applications and access infrastructure servers, such as authentication servers, as required. Hide corporate network infrastructure from perimeter and external threat. Since XMAN infrastructure servers are located in the internal network, the following ports are required by Forefront UAG for authentication and publishing purpose. In this scenario no NAT or internal firewall rules are needed but not a best practice and not a great firewall design. · First in Order- UAG internal adapter connected to the trusted network. · Second in Order- UAG external adapter connected to the untrusted network. The following are the network configuration for UAG server. Important! External Network can be assigned public IP if UAG server isn’t placed behind frontend router/firewall. In an edge configuration UAG external network is configured with public IP and internal network is assigned an IP address of internal IP range. The Internal Network adapter will normally be connected to your trusted environment. This could be your actual internal network (LAN) or could be a private DMZ (perimeter network) if using an intranet/back firewall. The External Network adapter will normally be connected to your untrusted environment. This could be your actual Internet connection if using an edge deployment, or could be a public DMZ (perimeter network) if using an existing edge/front firewall. Please Note: The ‘File and Print Sharing for Microsoft Networks’ binding on the TMG internal adapter is left at the default settings of Enabled on the TMG Internal Network adapter. This allows for the use of the Internal Network adapter for intra-array services when using a Forefront UAG array. 1. Click Start, click Network, click Network and Sharing Center, and then click Change Adapter Settings. 2. Press the ALT key, click Advanced, and then click Advanced Settings. If you are prompted for an administrator password or confirmation, type the password or provide confirmation. 3. Click the Adapters and Bindings tab, and then, under Connections, click the connection you want to modify. 4. Under Bindings for <connection name>, select the protocol that you want to move up or down in the list, click the up or down arrow button, and then click OK.
You should now run the UAG Network Interfaces wizard, and assign the network adapters to their respective Internal and External connection types/roles. Important! As you have configured the default gateway on the External Network adapter, it is necessary to add static routes to define internal network subnets that are reached via the Internal Network adapter but located behind routers (including VLANs on layer 3 switches) on the internal network. The use of multiple default gateways is not supported and static routes are the recommended solution. Once you have defined the appropriate static routes, you will then need to run the UAG Network Interfaces wizard to add the new subnets (called address ranges) to the internal network definition; these will consequently be inherited by TMG and allow correct traffic flow. The following NAT rules will be added into perimeter network to publish application and services through Forefront UAG. 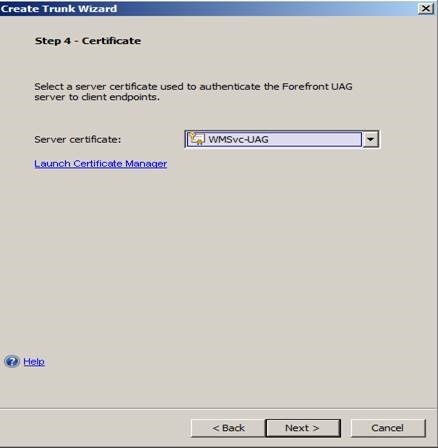 Forefront UAG supports wildcard certificates at the domain level and sub-domain level. Wildcard certificates in the form *.xman.com.au are supported. In addition the SAN certificate can specify the required host names. 2. On the Action menu of Certificate Manager, click All Tasks, and then click Import. 3. Follow the instructions in the Certificate Import Wizard. Trunk name: Specify the name of the trunk. This name is assigned to the Web site that is created in IIS running on the Forefront UAG server. Within the set of HTTP connections and HTTPS connections, each trunk name must be unique. The trunk name cannot contain the public host name. Public host name: Specify the host name used by client endpoints to reach the Web site. The host name must contain at least two periods. IP address: Specify the external IP address used to reach the published Web application or portal. Array Member: If the Forefront UAG server is part of an array, click the server entry in the IP address column, and select the external IP address of this array member. HTTP/HTTPS port: Specify the port for the external Web site. UAG trunks will be configured within Forefront Unified Access Gateway (UAG) to publish applications and services. The following topics describe a list of trunks and its advanced configuration. 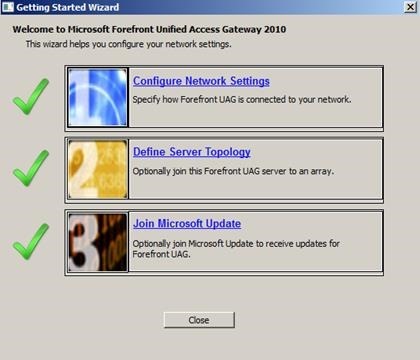 Insert the en_forefront_unified_access_gateway_2010_with_sp1_x64_dvd_611549.iso file to a Hyper-V server as media, and run Setup from the Forefront UAG folder. Ensure that the Network List Service (Netprofm) and the Network Location Awareness (NlaSvc) services are running, before beginning the Forefront UAG installation. To begin installation, double-click Setup.hta. 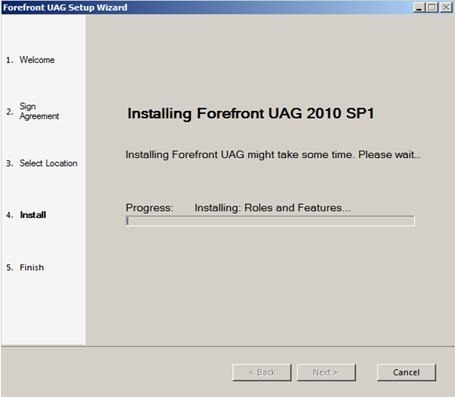 Click Install Forefront UAG to begin Forefront UAG Setup. When running Setup, you can customize the installation folder location, if required. 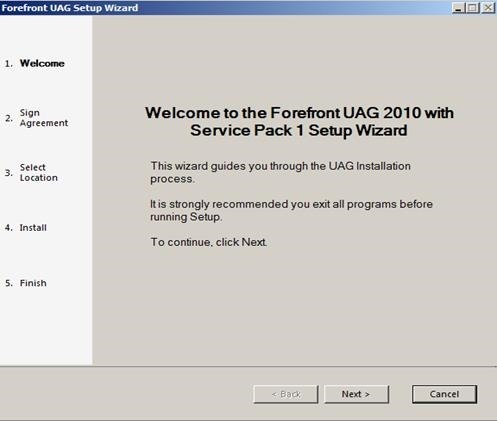 Do not install Forefront UAG from a network share. 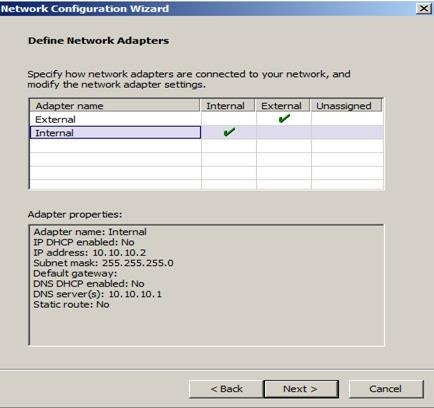 In the Getting Started Wizard, click Configure Network Settings to start the Network Configuration Wizard. To configure the adapter connected to the external network, click the External column. On the Define External Network IP Address Range page, verify the address ranges associated with the internal network adapter. You can add, edit, or remove ranges, as required. Note that it is not recommended to configure DNS on the external adapter. To configure the adapter connected to the internal network, click the Internal column. Adapter settings are displayed in the Adapter properties list. On the Define Internal Network IP Address Range page, verify the address ranges associated with the internal network adapter. You can add, edit, or remove ranges, as required. If you are running Forefront UAG on a single server, click Single server. If you want to join this server to an array of Forefront UAG servers, click Array member. The Array Management Wizard opens, which enables you to join the server to an array, and manage other array settings. For help on running this wizard, see Implementing an array and load balancing design. For more information about planning an array design, read the Array planning guide. After running the Network Configuration Wizard, click Join Microsoft Update to open the Server Configuration Wizard. On the Use Microsoft Update for Forefront UAG page, Click Use Microsoft Update when I check for updates if your corporate update policy uses Microsoft Updates. Note that an Internet connection is required both to opt in for updates and receive them. 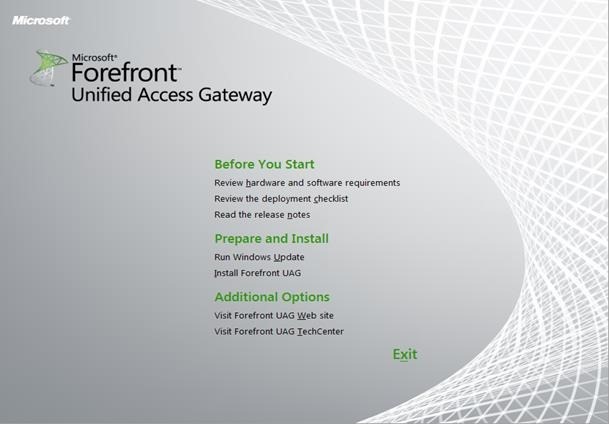 Forefront UAG updates will only be available after the RTM release. 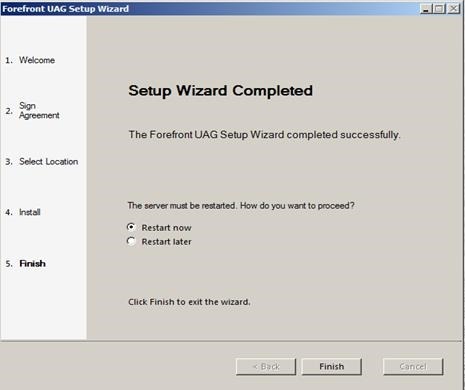 If you are installing Forefront UAG with SP1, on the Customer Experience Improvement Program page of the wizard, Click No, I do not want to participate if you do not want to participate in the program. Ensure that remote desktop is enabled on the Forefront UAG server. Ensure that the computer from which you want to manage Forefront UAG is added to the Forefront TMG Remote Management Computers computer set. To do this, open the Forefront TMG Management console from the Start menu. 1. In the console tree, click the Firewall Policy node. Right Click New, Click Access Policy, Type Name: RDP Access Policy. 5. On the destination page, Click new, Click computer, add name and IP address of UAG server, Click Next, Click Finish and Apply changes. If you are scratching your head how to grant access to your website for iPhone and Tablet published via Forefront UAG, there is way to achieve your goal. But before I articulate how to achieve this let’s revisit how UAG endpoint compliance works. By default UAG checks compliance of every endpoint device. 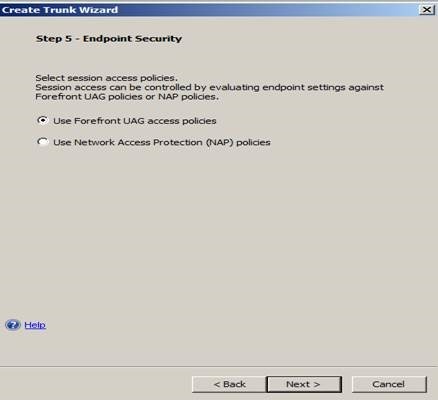 If you do now allow all endpoint devices in UAG Trunk it will be blocked due to policy violation. Since release of UAG SP3, mobile devices are identified as “Other” in UAG Endpoint Policy. “Other” includes iPhone, iPad, Android phone and tablet. Surprisingly I found that UAG also blocks Windows 8 mobile phone unless you allow it explicitly in endpoint policy. 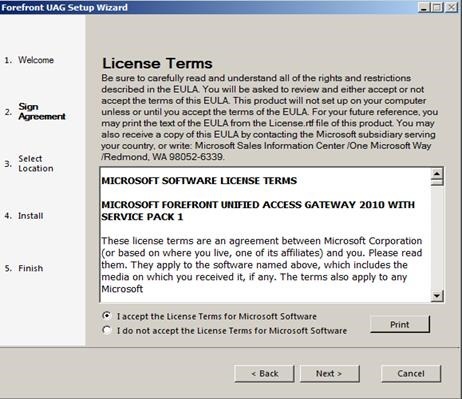 When an endpoint device connect to Trunk portal or a published website, UAG automatically check Default Session Access and Default Web Application Access policy. However for FTP and similar policy UAG checks Default Web Application Upload and Default Web Application Download policy as well. You need to tweak little bit in the Trunk properties and application properties to make it work. Let’s begin with Trunk properties. Log on the UAG server using administrative credential. Open UAG Management Console. Select the Trunk where you publish the application, in the Trunk Configuration area, click Configure. On the Advanced Trunk Configuration dialog box, click the Endpoint Access Settings tab. On the Endpoint Access Settings tab, click Edit Endpoint Policies. On the Manage Policies and Expressions dialog box, click the Default Session Access policy, and then click Edit Policy. On the Policy Editor dialog box, under Select platform-specific policies, in the Other drop-down list, click Always, and then click OK.
On the Manage Policies and Expressions dialog box, click the Default Web Application Access policy, and then click Edit Policy. Repeat the step 4 to step 7 on all the required policies. Example for FTP policies perform step4 to step7 for Default Web Application Upload and Default Web Application Download policies. On the Manage Policies and Expressions dialog box, click Close. On the Advanced Trunk Configuration dialog box, click OK.
Activate the configuration. Wait for activation to complete. Note that it takes few minutes. Open elevated command prompt using run as administrator option. Type iisreset and hit enter. Select the application you published through the Trunk where you configured advanced properties in previous steps. In the Applications area, click the required application, and then click Edit. On the Application Properties dialog box, click the Portal tab. On the Portal tab, select the Premium mobile portal and Non-premium mobile portal check box. 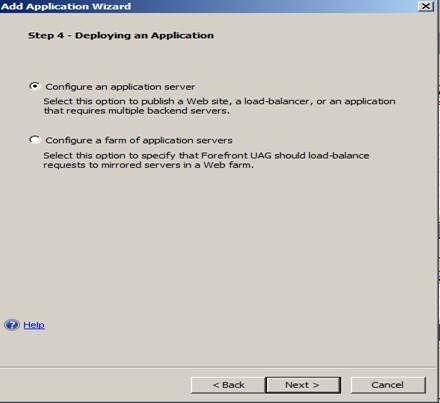 On the Application Properties dialog box, click OK.
Open Forefront UAG Monitor, Check the Session compliance, Authentication in Active Session. Check all systems logs in UAG monitor. 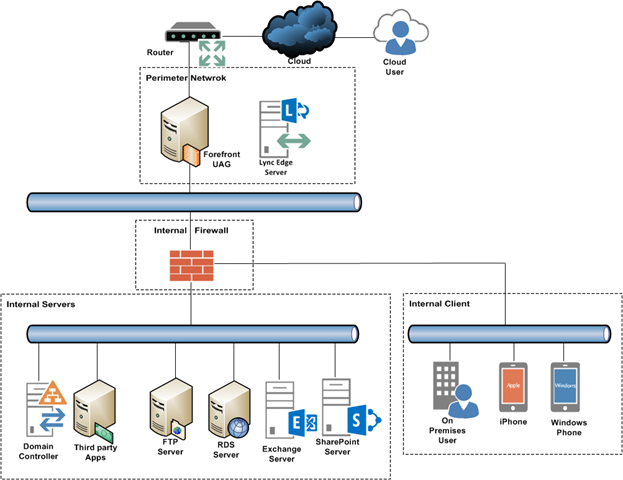 You will see a session is connected successfully with endpoint device type, endpoint IP and GUID mentioned in the logs. Recently I have completed a UAG project. The purpose of the project was to publish several websites, SharePoint and OWA. All went ok except I got stuck with FTP. After trying several times, publishing FTP failed with error “Your Computer does not meet the security policy requirements of this application”. I went through UAG events to find out a solution of this issue. No luck. I went thought Ben Ari’s blog. No luck. Actually Ben’s blog tells you a little on FTP and doesn’t tell you about backend FTP server and UAG in details. So I end up being calling Microsoft Tech support to help me sort out the issue. So here is my research on FTP and outcome for you guys who are struggling to publish FTP using UAG. Client Connection Port 20 & 21. You need to create a separate trunk for FTP. Right Click HTTP/HTTPS Trunk, Create a new Trunk. In my case I have created a HTTPS Trunk which means you need a proper public certificate with matching Common Name of Certificate for HTTPS trunk to work correctly. Note that you need certificate with public key. You must import certificate in PFX format. Once you configured a trunk with all default settings, Click Configure to configure Advanced settings of Trunk. On the Authentication Tab, Uncheck Require users to authenticate at session logon. If you would like that user authenticate at session using domain credentials you can keep it. I don’t want user’s to authenticate twice so I un-ticked this one. Click Session Tab, make sure disable component installation and disable scripting for portal are unchecked. Click Endpoint Access Settings Tab, Click Edit Endpoint Policies, Select Default Session Access, Click Edit Policy, On the other, Click Always. Click Ok. Repeat the step for Default Privileged Endpoint, Default non web access Policy. Click Ok.
Add a Enhanced generic client application (multiple servers) on this FTP trunk. Use all default settings except server settings which is shown in below screen shots. On the Server Settings Tab, make sure you type fully qualified domain name of FTP server. In my test lab, I configured my domain controller as FTP server which is not best practice in production environment. This is only for demonstration purpose. On the Ports, Use 20,21,1024-65534, On the Executable type real path of FTP client installed in Windows 7 or Windows 8. In my case C:Program FilesFileZilla FTP ClientFileZilla.exe. Click Ok.
On the socket forwarding select basic. On the Endpoint policy make sure other is set to always. Click Ok. Wait for Activation to complete. Open Command Prompt as an administrator. Type iisreset and hit enter. Open a browser from Windows client, browse https://ftp.yourdomain.com and see the outcome. Make you sure FileZilla Client is installed in C:Program FilesFileZilla FTP Client location in Windows 7 or Windows 8. You may or may not receive warning depending on your client environment. To fix the warning open, UAG web monitor, Click Session monitor and select the FTP trunk, Click connected session, see endpoint information. In my case I received “Your Computer does not meet the security policy requirements of this application” which says I don’t have any antivirus installed (Compliant antivirus not detected) but I have Symantec antivirus. Solution? Actually UAG is looking Microsoft security essentials in my computer. Work around is install Microsoft Security Essentials and turn on Windows firewall. To avoid this issue, you can create a new endpoint policy. Click Configure on Trunk, Click Edit endpoint policies, Click Add policy. Create a new policy allowing any antivirus, any firewall shown below screen shot. Click Ok. Apply the policy into Endpoint Policy. Again activate the trunk. run iisreset. Now go back to UAG web monitor. select FTP trunk, Go to Endpoint information, you will see client is compliant and connected. To avoid being caught into the following UAG events, follow the below procedure to create a correct Trunk and an Application in UAG 2010. 1. 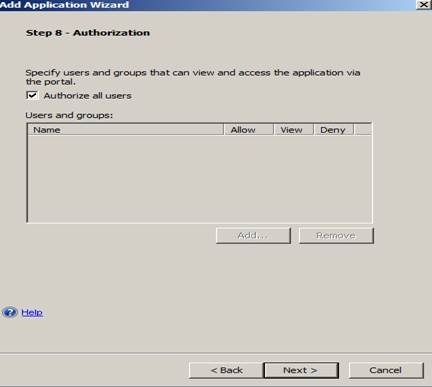 Bypass Active Directory authentication to allow application specific authentication. Also make sure FullAuthPassThru value is set to 1. 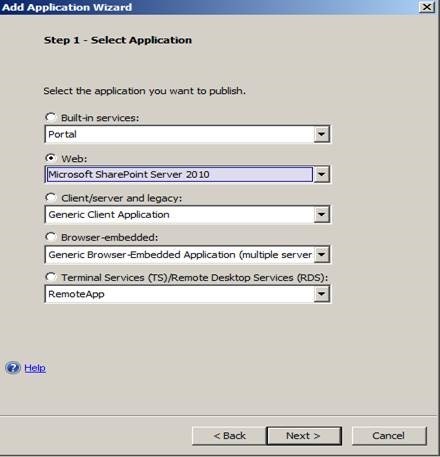 Use the following steps to correctly publish mobile device, third party application implemented in IIS within a subdirectory. Before you begin, import certificate in UAG server. Certificate must be in .pfx format with private key. Open the Microsoft Management Console (MMC) which enables you to import a certificate into the IIS Certificate store. To import a certificate, in the MMC window, in the left pane, under Console Root, verify that Certificates (Local Computer) > Personal is selected. From the Action menu, click All Tasks, and then click Import. Follow the instructions in the Certificate Import Wizard. In the Forefront UAG Management console, right-click HTTP Connections to create a trunk accessible over HTTP, or right-click HTTPS Connections to create a trunk accessible over HTTPS. Then click New Trunk. 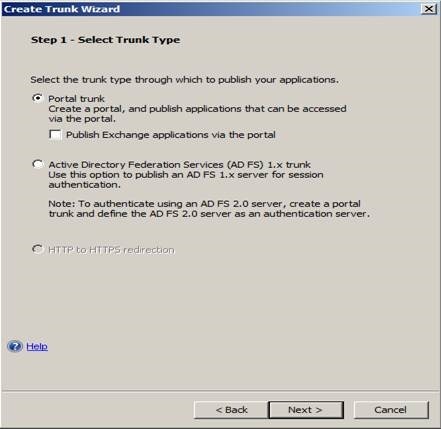 On the Select Trunk Type page of the Create Trunk Wizard, click Portal trunk. In the Authentication and Authorization Servers dialog box, select a server and click Select. To add a new server to the list, click Add. Select User selects from a server list to specify that during login to the trunk, users will be prompted to select an authentication server. If you configure one authentication server, users will authenticate to that server only. Select Show server names to allow users to select an authentication server from a list; otherwise, users must enter the server name. Select User provides credentials for each selected server to prompt users during login to authenticate to all the specified authentication servers. Select Use the same user name to specify that users must enter a single user name that will be used to authenticate to all specified servers. 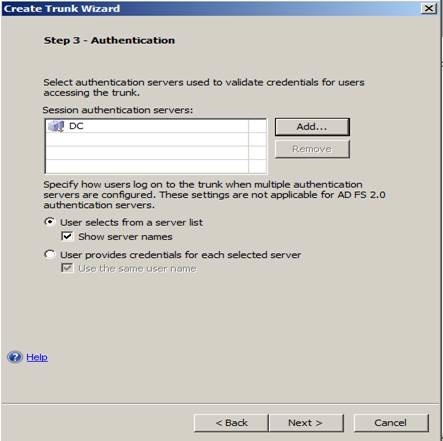 On the Certificate page of the Create Trunk Wizard (HTTPS trunks only), select the server certificate that will be used to authenticate the Forefront UAG server to the remote endpoint. 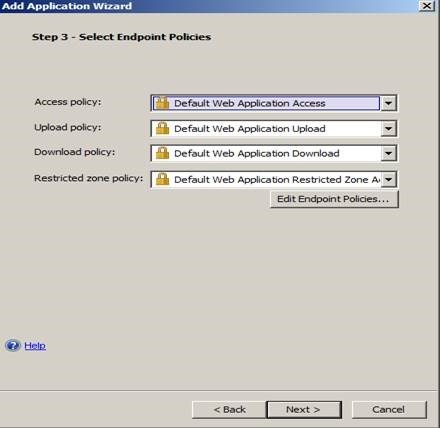 On the Endpoint Security page of the Create Trunk Wizard, control access to trunk sessions by selecting policies that allow access, based on the health of client endpoints. Click Use Forefront UAG access policies to determine the health of endpoints using in-built Forefront UAG access policies. Click Finish after completing the Trunk wizard. Click Configure Trunk. Click Endpoint Access Settings, Click Edit Endpoint Policies. In this step, you will allow access of mobile phone and tablet. Microsoft UAG by default doesn’t allow mobile phone access. You need allow this access manually. Click Edit Endpoint Access Policies, Select Default Session Access, Click Edit, Click other, Select Always. Click Ok. Repeat the step for Default Privileged Endpoint, Default Web Application Access Policy, Default Web Application Upload, Default Web Application download. Click Authentication Page, de-select require user to authenticate at session logon. By deselecting this option, you have created pass through authentication. Click on the session tab, deselect disabled component installation and disable scripting for portal applications. After completing the Create Trunk Wizard, in the Forefront UAG Management console, on the toolbar, click the Activate configuration icon on the toolbar, and then on the Activate configuration dialog box, click Activate. 1. In the Forefront UAG Management console, select the portal trunk to which you want to add the application. In the main trunk properties page, in the Applications area, click Add to open the Add Application Wizard. 2. On the Select Application page, Click Web, choose the application specific host name you want to publish. 3. On the Application Setup page, specify the name and type of the application. 4. On the Endpoint Security page, select the access policies for your application. Note that not all of the policies may be available for some published applications. You must verify that other device is allowed in Endpoint security. See Step11 in creating a Trunk. 5. On the Application Deployment page, specify whether you want to publish a single server or a Web farm. 6. On the Web Servers page, if you are publishing a Web application, on the Web Servers page, configure settings for the backend Web server that you want to publish. On the application requires paths, add more / as your path. This will allow any sub directories of application hosted in Microsoft IIS server. On the address, type the fully qualified domain name of the web application which will be accessible from external network. 7. On the Connectivity Verifier Settings page, if you are publishing a Web farm, specify how the state of Web farm members should be detected. 8. On the Authentication page, deselect SSO. By deselecting this option, you have created pass through authentication. 9. On the Portal Link page, specify how the application appears in the portal home page of the trunk. If you have subdirectory in IIS, specify correct URL. For example, in my case I have subdirectory like https:// mymobile.mydomain.com/mobile/ .Select premium and non-premium mobile portal. 10. Once done, Click Finish. 11. On the Trunk , On the initial application, Select Portal Home page, as MobilePortal. Step4: Activating Trunk and Post Check. 1. On the console toolbar, click the Activate configuration icon, and then on the Activate Configuration dialog box, click Activate. 2. This is the simple step, most of techie doesn’t do and end up being calling Microsoft Tech support. You have to do this step so that published application works. Open command prompt as an administrator, run iisreset /restart. The application MobilePortal was accessed on trunk; Secure=1 with user name and session ID EDD953BD-CB79-4180-B811-F1A0F53DCB33.